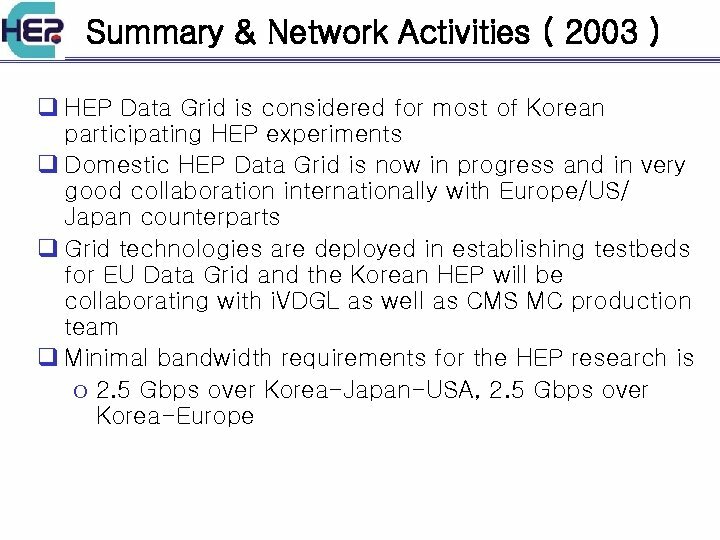 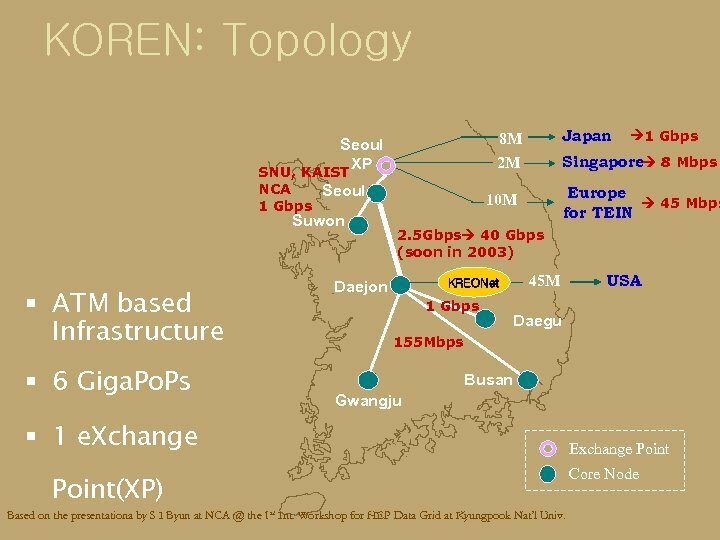 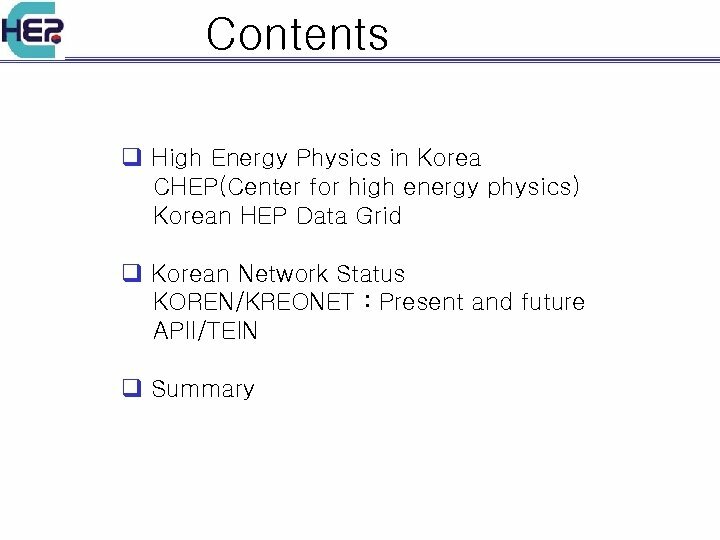 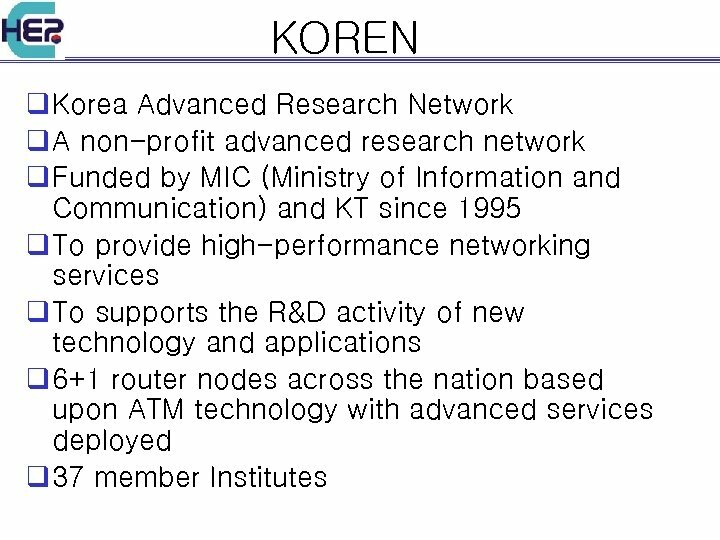 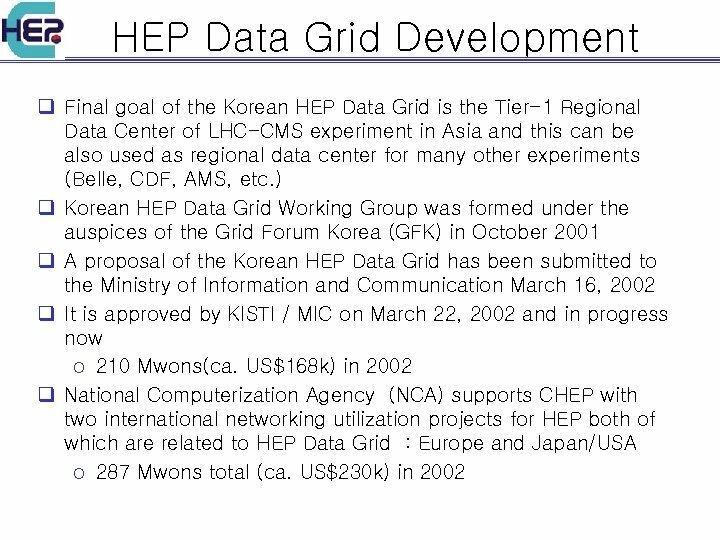 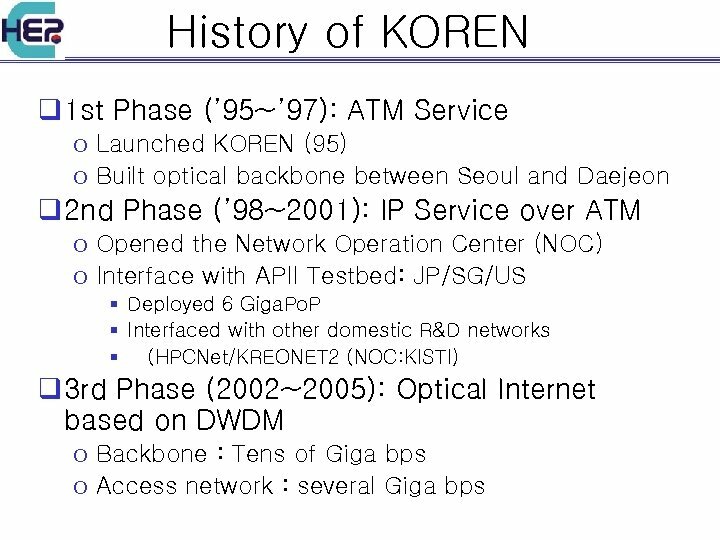 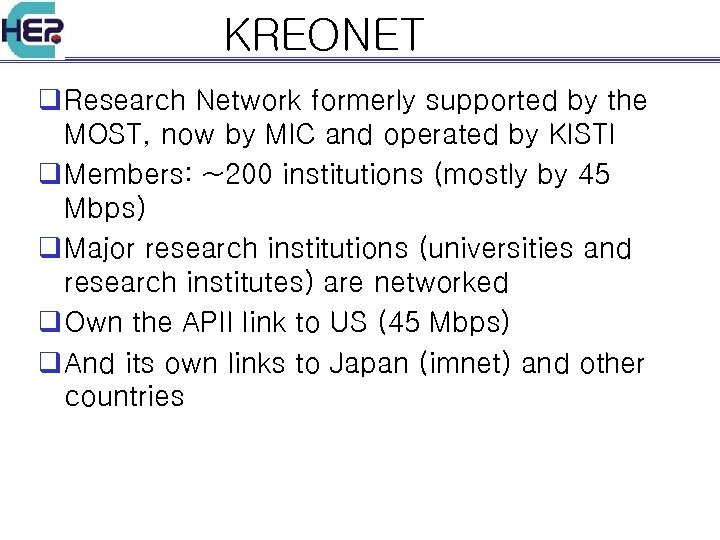 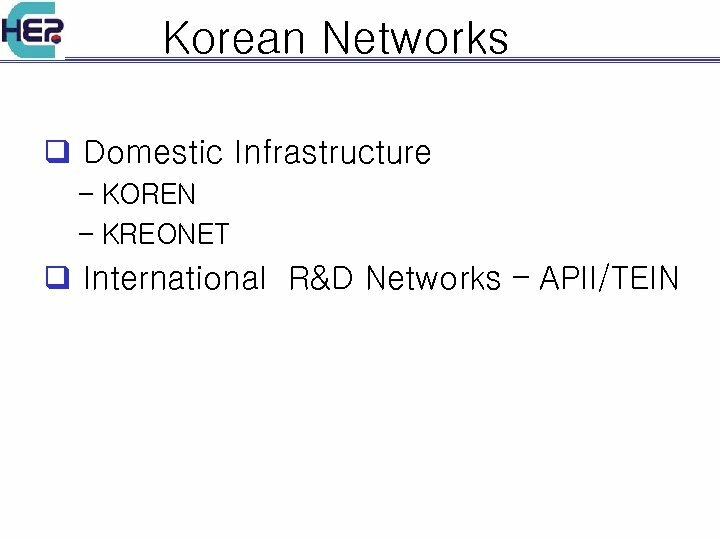 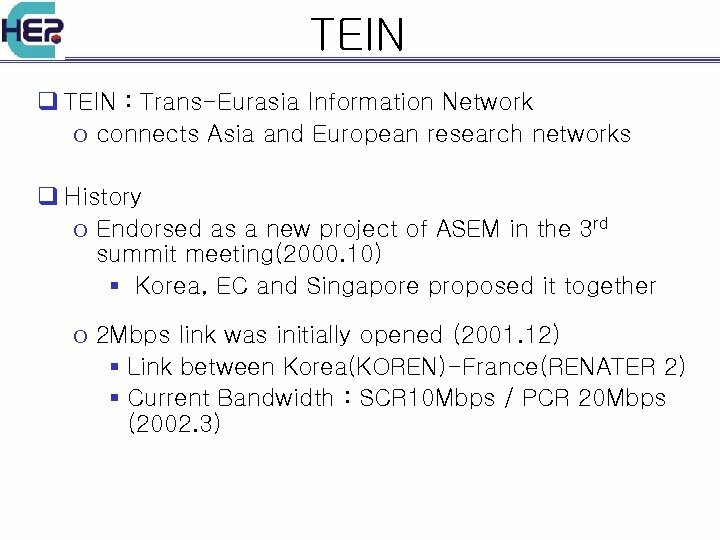 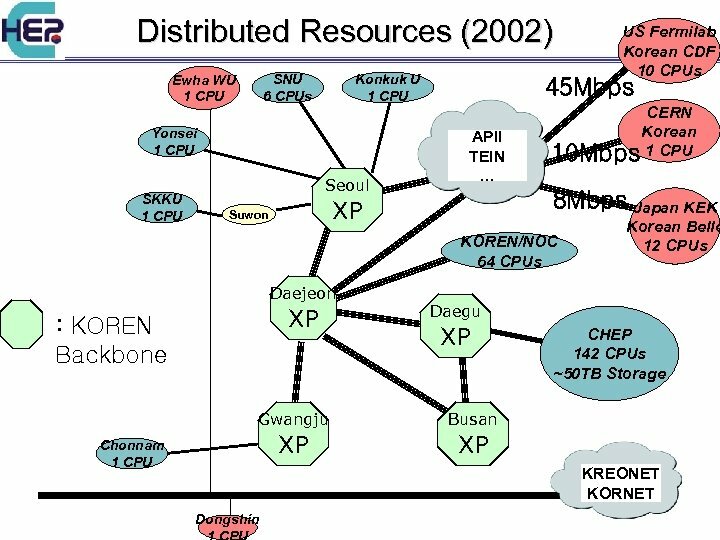 Summary & Network Activities ( 2003 ) q Excellent network supports from APAN(-KR) o Domestic KOREN/KREONET are the Advanced Network for Research § To be upgraded to Gb. 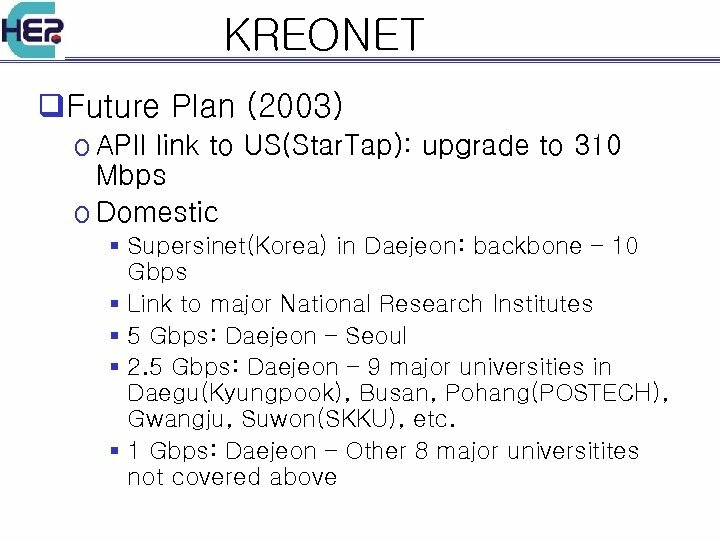 E (6 sites) with 40 Gbps backbone o APII for Korea-US via KREONET (45 Mbps 310 Mbps) o Korea-US : 10 Gbps IEEAF link ( Link & Access Committee in APAN-KR is working ) o TEIN for Korea-Europe to be upgraded to > 45 Mbps Gb. 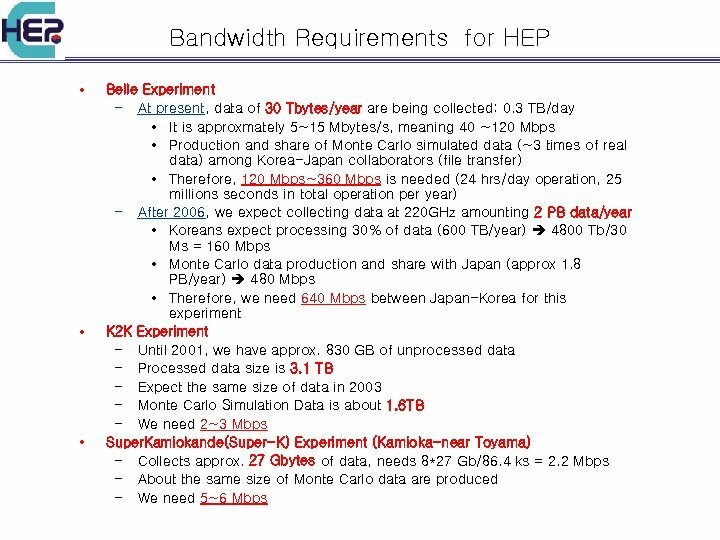 E or 10 Gbps? 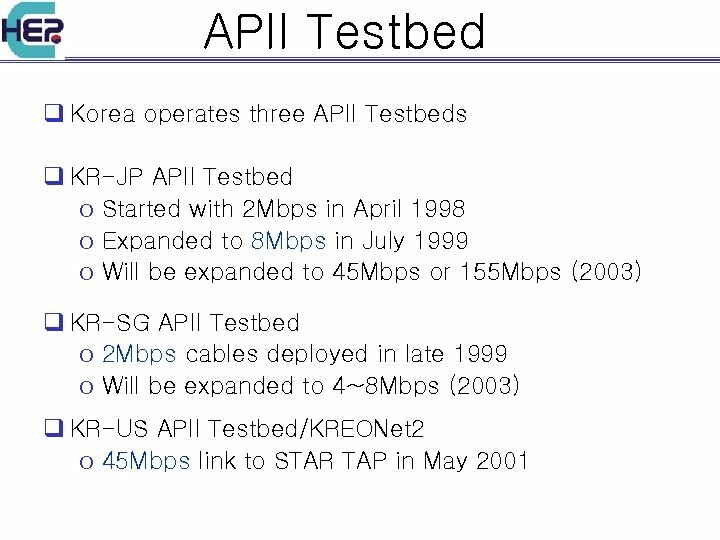 o APII for Korea-Japan (now 8 Mbps) 64~155 Mbps § Or expect Gb. 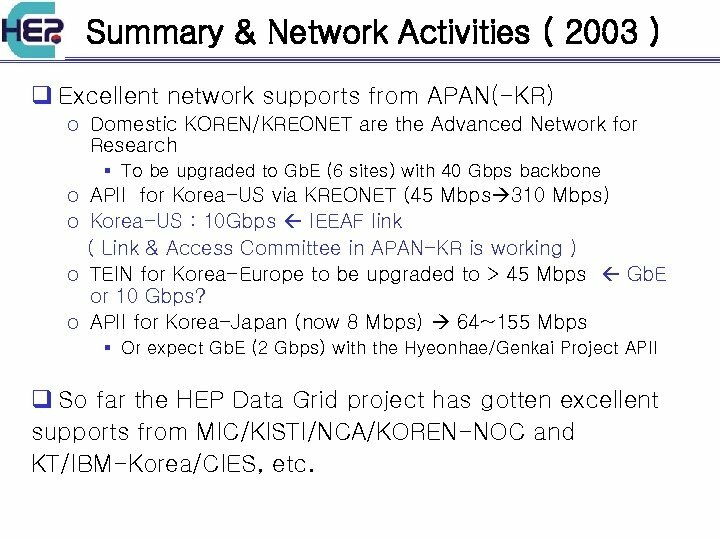 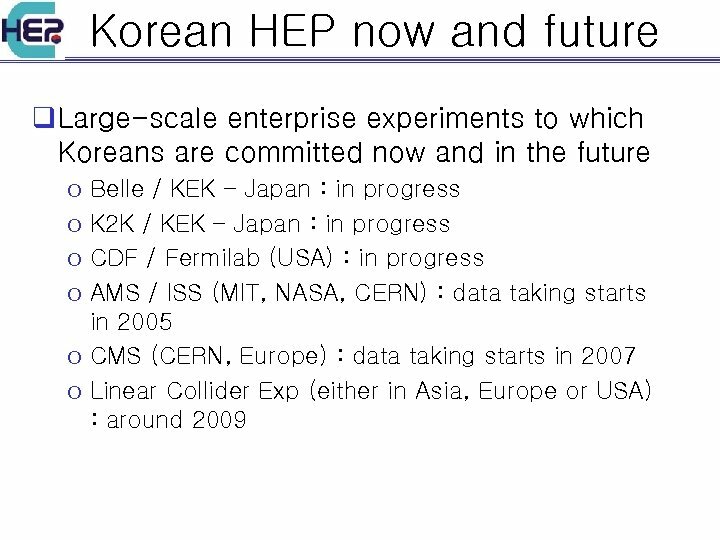 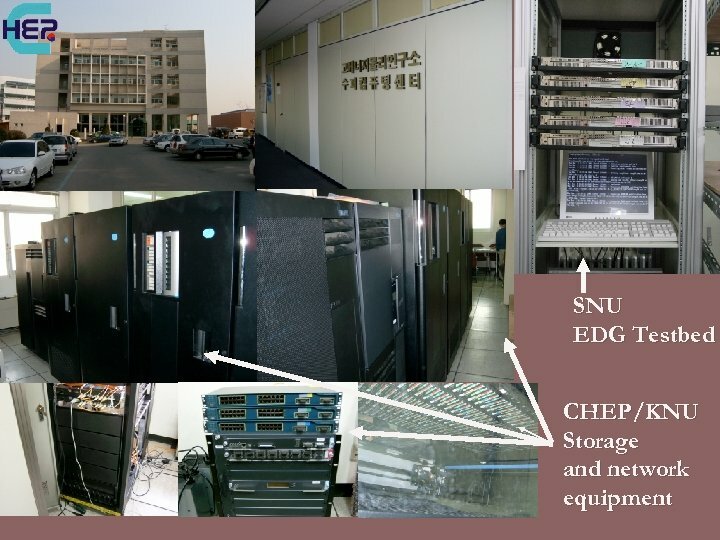 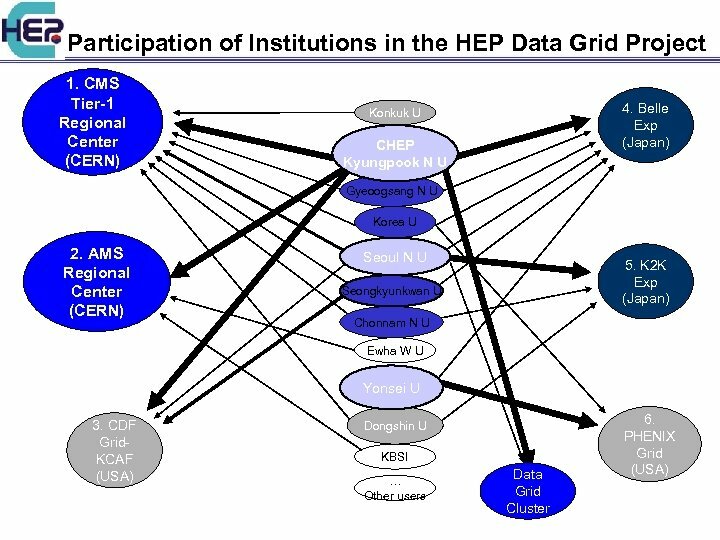 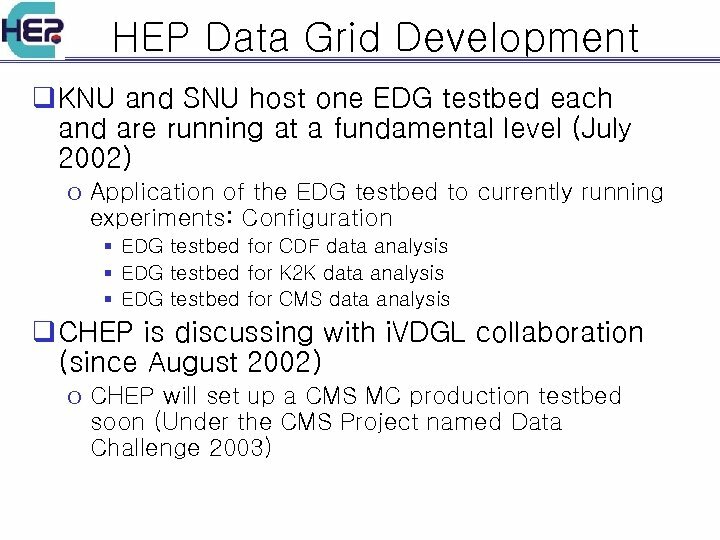 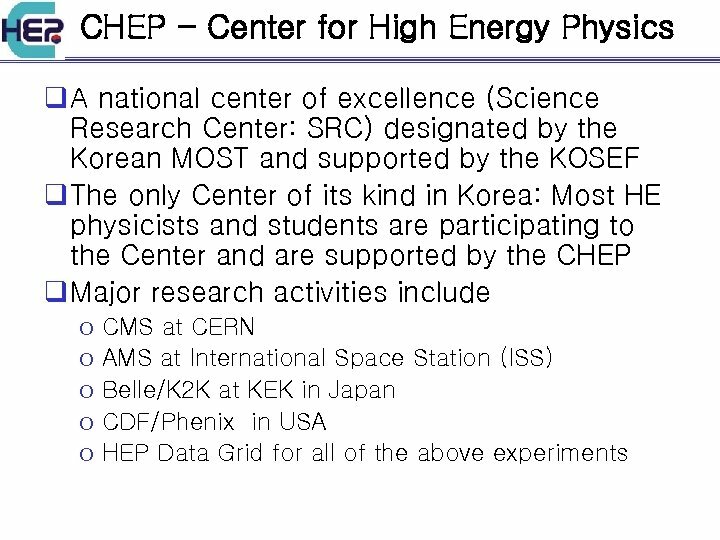 E (2 Gbps) with the Hyeonhae/Genkai Project APII q So far the HEP Data Grid project has gotten excellent supports from MIC/KISTI/NCA/KOREN-NOC and KT/IBM-Korea/CIES, etc.